The moral of the story is, never let your roommates near you with a camera. 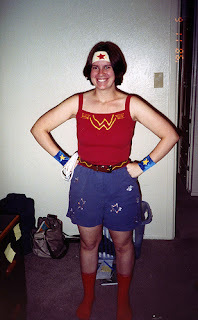 This picture was taken (fortunately) several years ago, and here it is: WonderSu! Coming soon to a costume party near you.